Home » Galleries » Picture This: Wildlife & Nature Photography » Pardon-have I seen you at this branch before? Location: Conowingo Dam-Harford Co, MD 12-26-17. 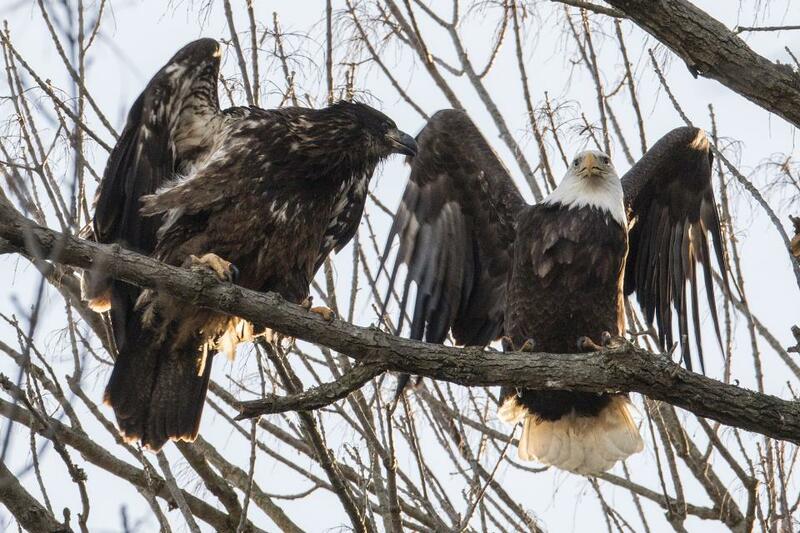 The eagle on the right was minding its own business when the larger juvenile bird suddenly flew in. Surprisingly the mature bird did not scoot as would normaly happen. The juvenile then leaned way over while the mature bird leaned away with a pained look on its face. An almost human scene! This image is for the Birds competition but that catagory is not currently listed as such in your listing. Pardon-have I seen you at this branch before?